It’s that time of year again, the time where you have to start figuring out where you are going to live for the next school year. Whether you will have to transport your things from one house to another, or move things to storage, you are going to want the 4-1-1 on which moving company is the best to go with, so let me save you a bit of time in that aspect. Let’s take a look at a few of the most popular moving truck companies and some awesome features that they will offer you. I used a U-Haul trailer unit to transport my things from San Diego to Santa Cruz. The great thing was that we could drop the unit off in Santa Cruz, and not have to lug the empty moving compartment all the way back down. It wasn’t too bad to drive with it and it fit a lot of stuff even though it was one of the smaller sizes, so I was definitely satisfied with them. U-Haul offers a variety of trucks and trailers that you can choose from, has cheap moving supplies that you can purchase so you’ll have everything you need for the move, and they also offer self storage with the first month free (depending on location). Their site allows you to figure out how much it is going to cost before you commit, and they can even help you find some movers in your area to help unload all of your stuff. U-Haul is a bit more on the pricey side compared to some of the other companies, but according to TopTenReviews, they are the only ones to offer trailer rentals. If this is something you are interested in, U-Haul might be the one for you. Here are some U-Haul reviews for you, make of them what you will. But as with all reviews, keep in mind that people are more likely to write a review if they had bad service, so look at what they are saying, but know it isn’t all bad. If their name isn’t a give away, you should know that this place will save you a lot in the wallet department. They have tons of great deals like discounts for students, one-way deals, and local deals. This will be a reliable way for you to save some money for your move, so definitely check them out! There are three sizes of trucks that you can choose from, and since the smallest one can hold up to two rooms worth of stuff, you should be able to get that one and save money. The problem is, they can’t offer you a guarantee, but with their great prices, it might be a gamble you are willing to take. Here are some reviews for your reading pleasure. Penske is yet another truck rental company that you might consider. They also have some great discounts especially with one-way moves, and even have a dedicated call center for military moves to make those moves fast and easy. They also have a college discount so we can all be thankful for that. With one-way truck rentals, they will offer you free unlimited mileage … that sounds pretty good to me! As with the others, they can help supply you with movers, moving supplies and the works, all for an additional fee of course. Things seem to be a bit shaky with the management, but here are the reviews for you to get more insight. It might even be helpful, after you have picked a company, to look at the specific reviews for it in your area. Might solidify or challenge your choice. 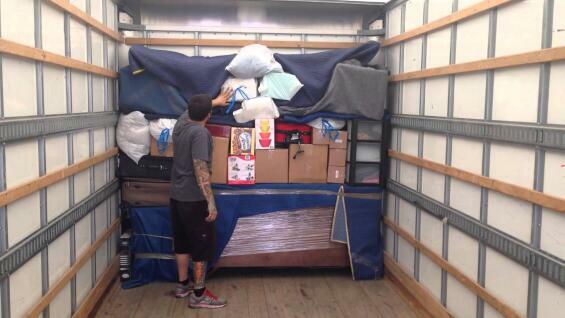 Though mainly known for their car rentals, you can also rent moving trucks from Enterprise. Featured on their website to be “The Right Service” and “The Right People,” Enterprise may be the route you choose when picking the way you want to move. They offer a pick up service which is awesome, but they are pretty pricey and don’t offer as many services as some of the others mentioned above. Here are the reviews. My Bekins allows for local and international moves, professional or DIY packaging, and easy online estimates so you can figure out how much your move will cost. They are full service movers, so if you choose, you don’t have to do any of the work, which could really help you de-stress since moving is quite a big to-do. And here are the reviews. So from this list, we can see that all moving companies have some good and bad qualities. It will now be up to you to decide which factors will be most important when choosing a company. Why not get a few quotes before making any decisions? Being thorough in your decision will make you feel safe about them transporting your belongings and secure with the amount of money you paid for the service. Happy moving! Have the truck but would like some muscle to ease your moving process? Instead of bugging your friends or hiring expensive movers, check out our new partner Bellhops, the leading local, affordable moving service that hires trustworthy, local college students to be your answer to a stress free move day. 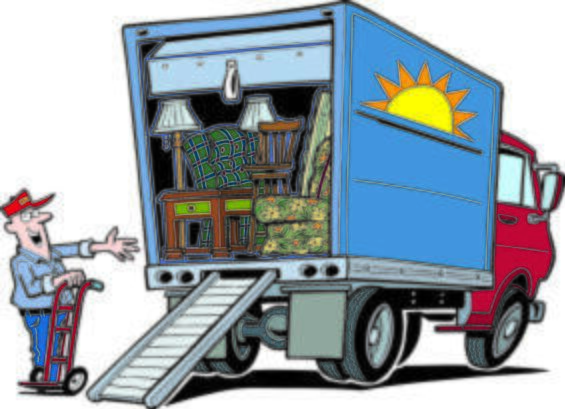 For wallet-friendly help with moving, consider hiring a few Bellhops for your moving day for assistance loading your truck, unloading or getting from point A to point B. Find out more info here! Hi! I'm Francine and I'm a fourth year Creative Writing major at UC Santa Cruz. I am one of the Campus life columnists on Uloop's National Team and also the campus editor for UCSC. I enjoy reading, writing, and taking selfies with my cat.